Another great shot! I like how the clouds seem to be moving in the same direction as the branches of the tree. Very nice. 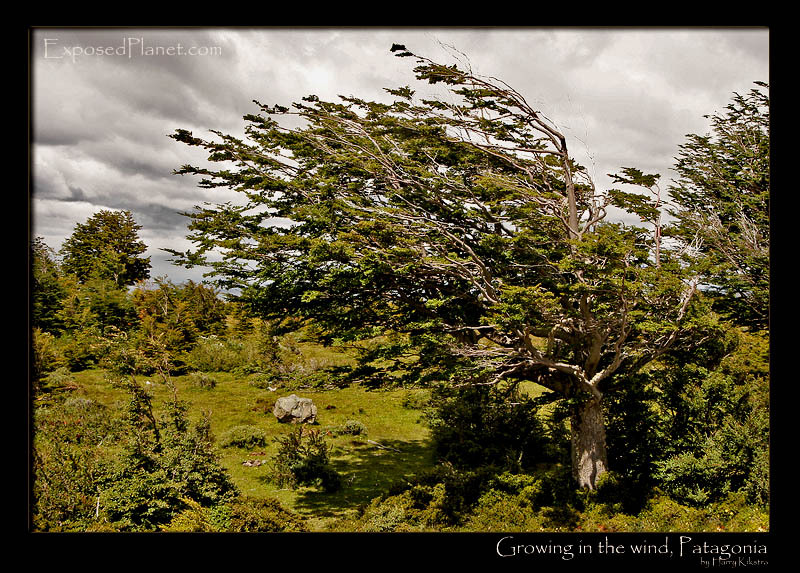 The story behind "Patagonia: tree growing in the wind"
Just a little break in the Khumjung files, a good excuse to post some Patagonia pictures! While we were waiting for the wind to stop in southern Patagonia, the Drake Passage and Antarctica, so we could fly to the icy continent, I went for a mountain bike trip with client and friend Vince.